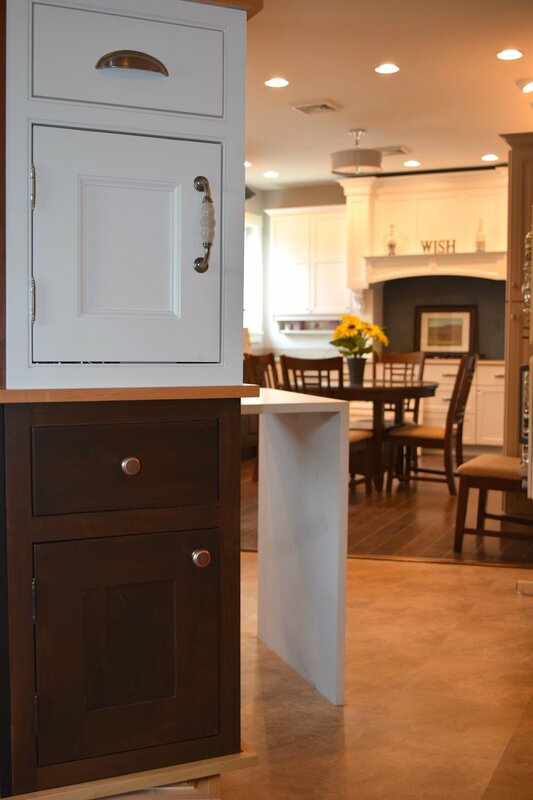 Here at Apuzzo Kitchens, we are a design and build custom cabinetry business. 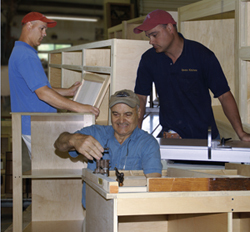 All of our custom cabinetry is built with attention to detail in our wood shop right here in the Hudson Valley. We have designers in house that will work with you to design a kitchen that works for your home and lifestyle. We work together with local businesses to get all components of your kitchen to come together seamlessly. To accommodate all budgets, we also order cabinetry from 2 cabinetry lines. Check out Our Products find out more! We have a 1,200 square foot showroom with multiple kitchen displays. In our showroom, you can really get a feel for the different cabinetry lines, door styles, countertop options, etc. that will play an integral role in your final kitchen design. There are countless options when it comes to designing a kitchen, and we try to display as much as we can in our showroom so you can get a full understanding of what will make most sense for you! Take a look at our Design Process to learn more!